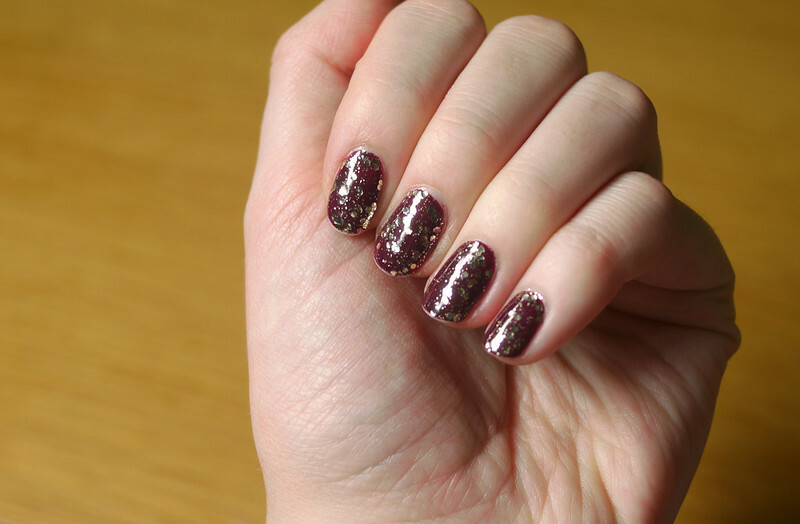 It's been a while since I've written a nail post and since it's the party season I thought I'd show you one of my favourite ways to do my nails for Christmas. 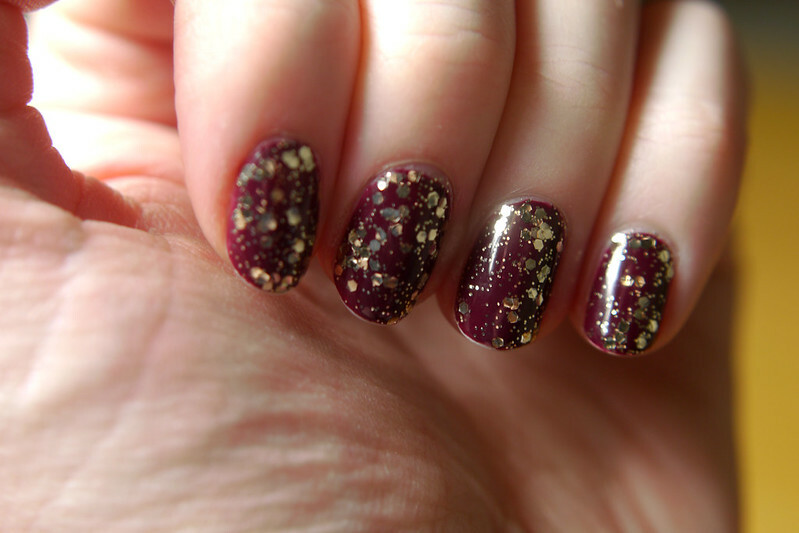 This is also a great way to update the berry nail trend from Autumn/Winter for the Christmas period. I loved Essie's Bahama Mama as soon as I tried it. It's such a gorgeous shade, it's my Autumn/Winter version of the classic red nail and I've been wearing it almost non-stop for the past few months. 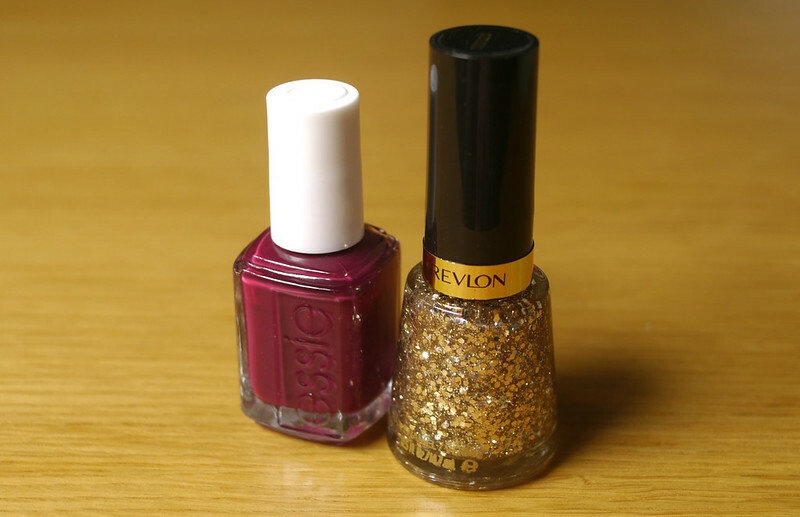 I recently got Revlon Sequins as a free gift after buying three Revlon items in Boots. 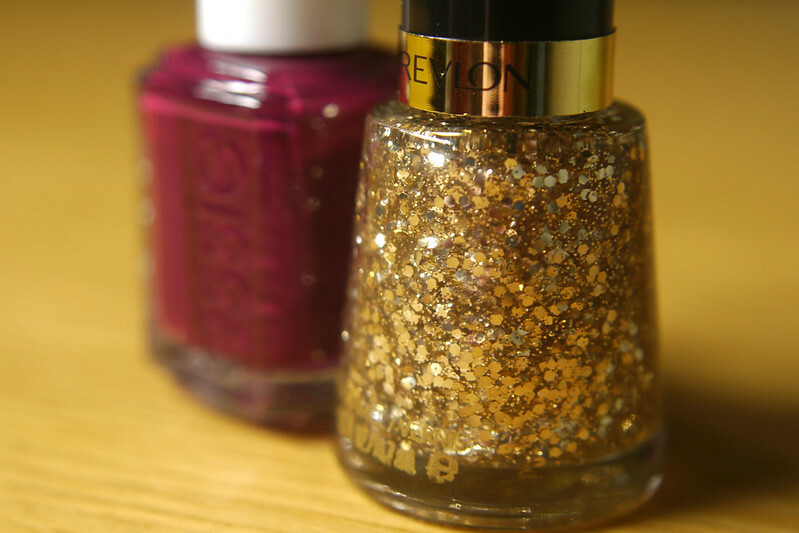 It's a sparkly gold topcoat with various sizes of glitter. You can add this to any nail colour and it instantly gives you Christmas party nails. I've been wearing these colours together for the past few days and already several people have commented on how nice they are and asked have I had my nails done! What is your favourite Christmas nail colour? oh gosh, i just love your nails! i need to get some more glitter polish to top off normal coats! I was so tempted to buy glittery nail varnishes the other day, am kicking myself now!!! !